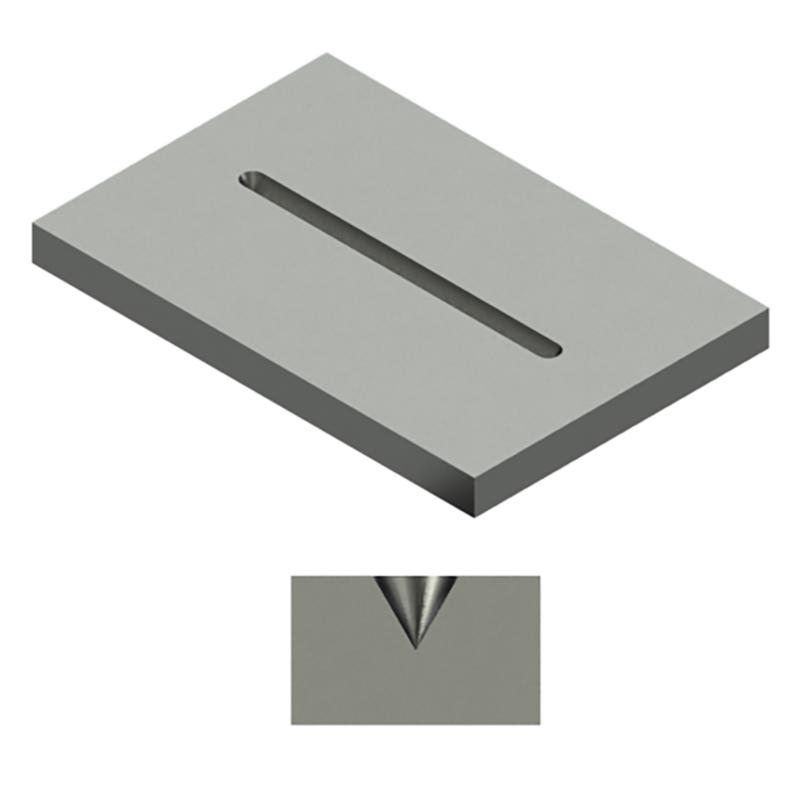 Dash tools can be used to create numbers or letters, coining a “V” groove on bend lines to aid in the bending of the sheet, and locators on a sheet. This tool is especially useful in applications where the number or letter of the part being marked is constantly changing or progressive. Wilson Tool’s Dash tool is available in both form-up and form-down. The form-up is self-stripping to prevent sheet marking and tool wear. Logos and other special stamps can also be manufactured.